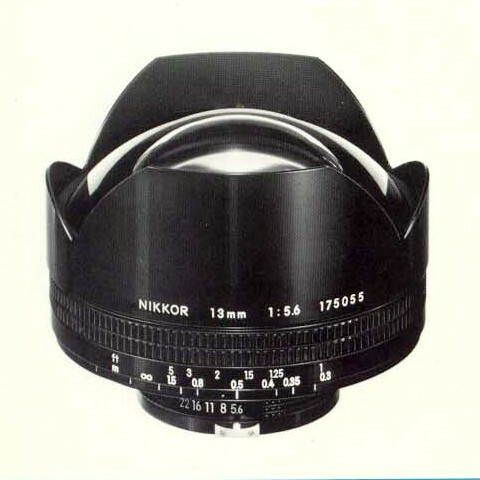 Nikon lenses made before 1977 use the meter coupling shoe (prong) to couple with the camera meter. The prong is mounted on the aperture ring at f5.6 and engages a pin on the camera. When the lens is mounted, the photographer must also enter the lens maximum aperture into the meter. Depending on the camera/meter this is either done manually, or semi-automatically by turning the aperture ring from one extreme to the other. Metering is done at full aperture. The camera determines the correct shutter speed from how far the lens is stopped down, which the difference between the entered max aperture and the actual setting. Changing lenses was slow and error prone due to the need to manually couple the meter, and cameras would give wrong exposures if this was done incorrectly. 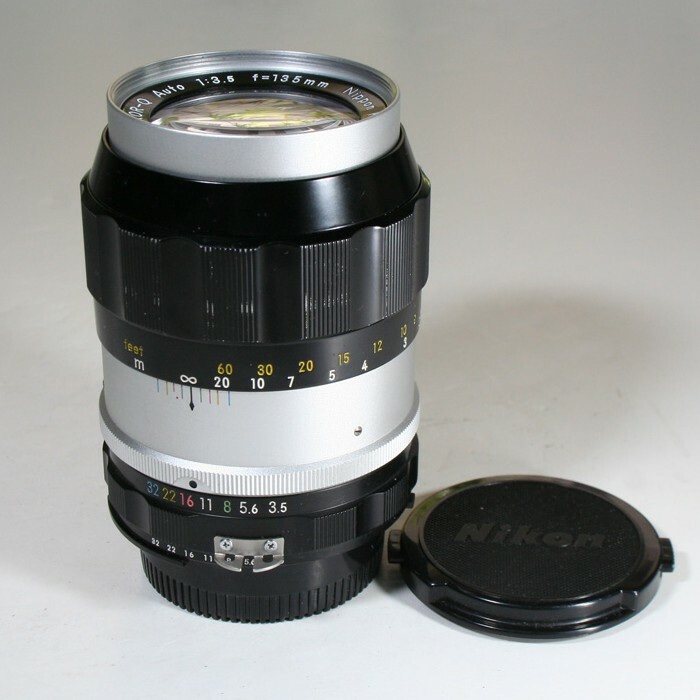 In 1977 Nikon introduced AUTO INDEXING (Ai) meter coupled lenses. Changing Ai lenses is much faster and less error prone because the AI ridge automatically meter couples when the lens is mounted. 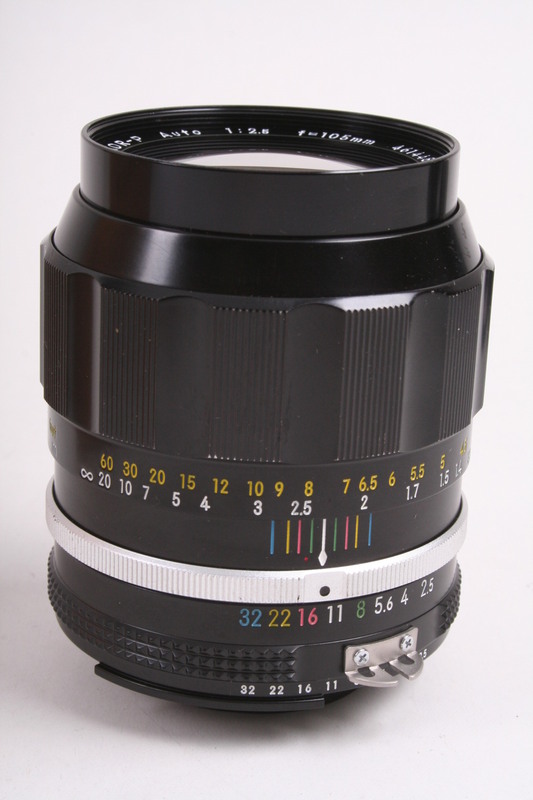 The meter coupling ridge is located relative to the max aperture of the lens, not at a fixed aperture like the prong. This directly signals how far the lens is stopped down, without needing to also enter the lens max aperture. A second small aperture row is for ADR (Aperture Direct Readout) which gives f/stop finder information on some bodies. Nikon maintained backward compatibility for pre AI cameras by continuing the metering prong on the AI (and AIS) lenses. The prongs now have cut-outs in them to illuminate the f/stop markings for ADR. The prongs were discontinued on AF lenses, but may be added. 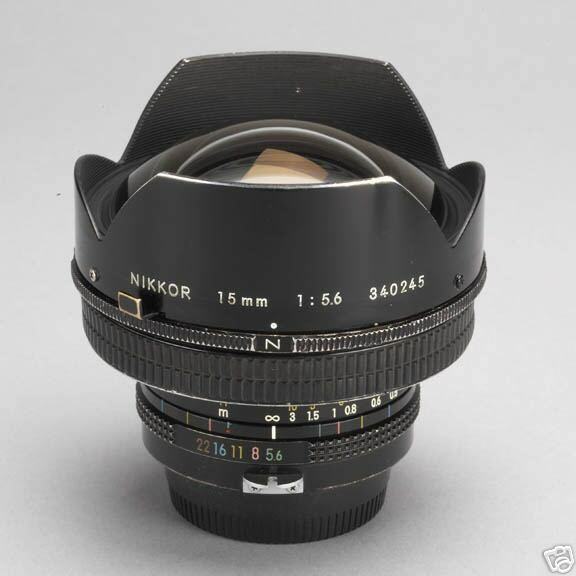 Nikon also offered a Ai conversion for Nikon NON-Ai lenes in which a new aperture ring was installed with the Ai metering ridge, ADR and the new cutaway prong. Converted, they work perfectly with AI cameras. 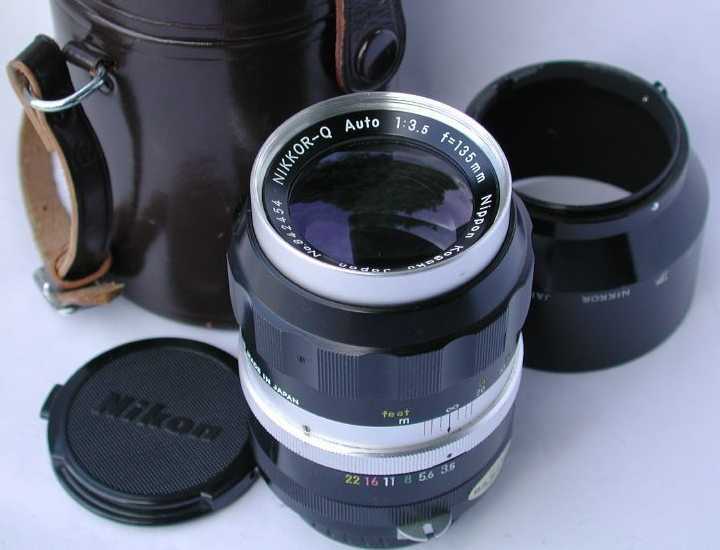 Nikon converted lenses should be referred to as "Ai converted" or "AI'd", even though many mistake them for Ai. 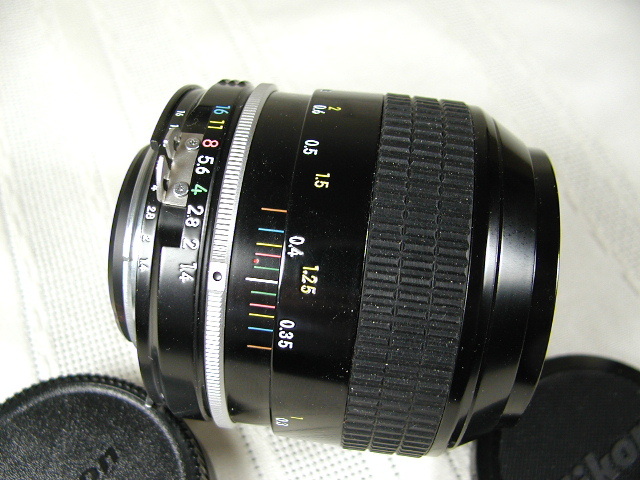 The majority of Auto-Nikkors with meter-coupling shoe manufactured from 1967 can be modified for Ai compatability. However, due to differences in constuction, some Auto-Nikkors (mainly those made prior to 1967) cannot be modified. This includes all models with no screws in the mount, and some others. The table below shows the relation between serial nos.of the lens to be modified and parts to be selected. When Nikon offered the Ai modification service, there were three price categories. The majority cost $18.50, some $33.50, and the rest $43.00 (1983 prices). This included the cost of return postage and handling. The prices were based on basic costs for labor, parts and handling, and were calculated to keep expenses as low as possible. 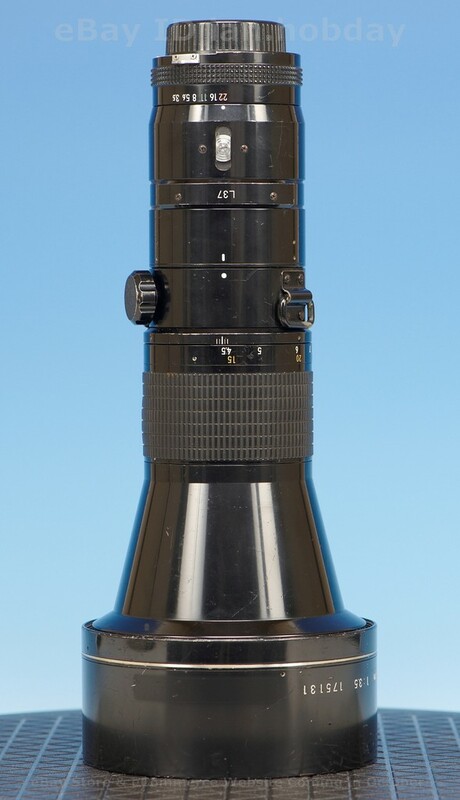 Actually, in many cases Nikon appeared to charge a premium for exotic lenses, even though the weight and construction are similar to cheaper models! 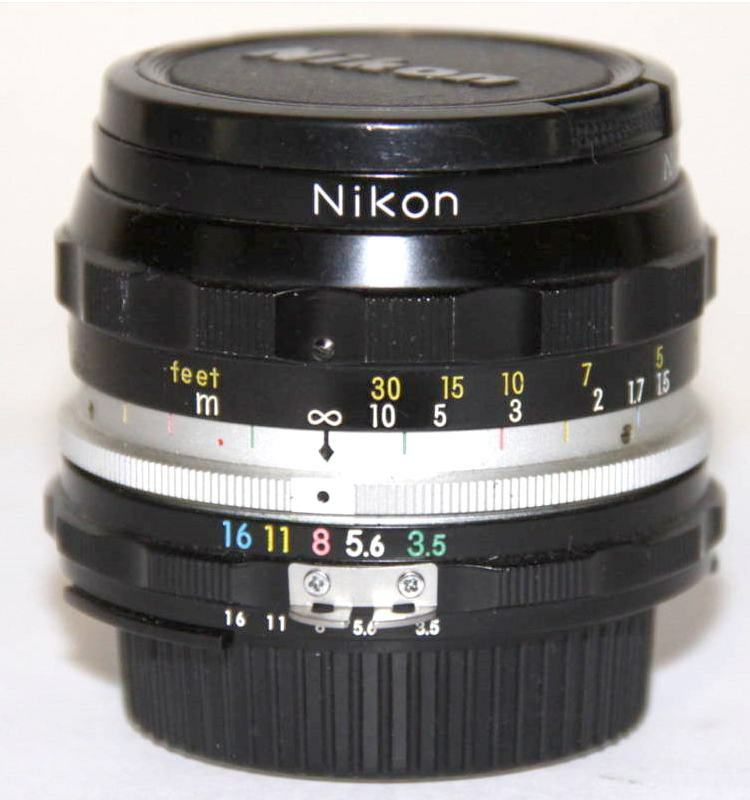 Non meter-coupled Nikkor lenses (Reflex, PC and others) work with Ai cameras exactly as they did with earlier Nikon and Nikkormat models with stop-down metering. Most do not require modification to fit Ai cameras. On some models such as the 1000/11 reflex the lower rim of the barrel jams the AI coupling tab on the cameras and will need to be trimmed to prevent damage. On others such as the 28/4 PC the barrel is thinner and can slip under the AI coupling tab. 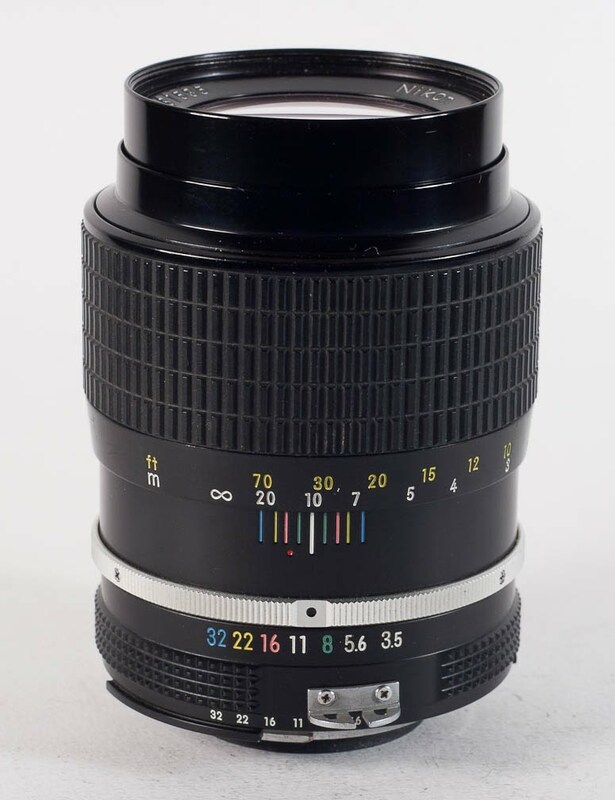 F 85-250mm 1:4 184771 â€“ 80 81 82 D-3 33.50 Fine, big! 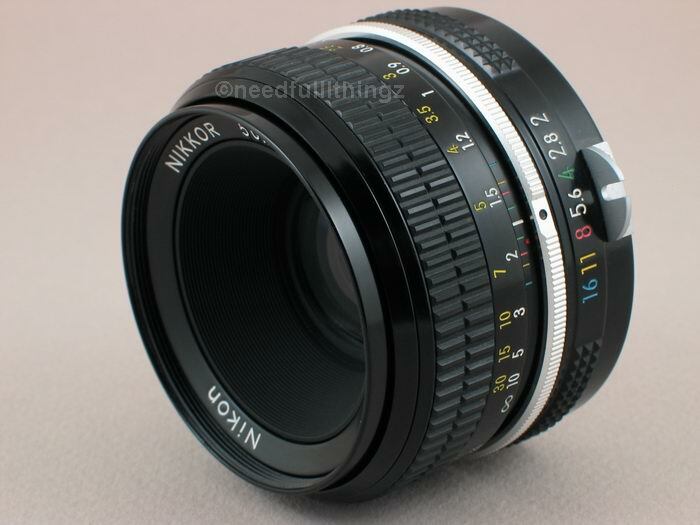 (1) According to other Nikon Ai modification sheets, Nikkor-O 35/2 lenses from only 717011 and higher can be modified. I have seen earlier lenses with Ai rings installed so the number given here is correct, meaning all pre-AI 35/2 lenses can be modified. 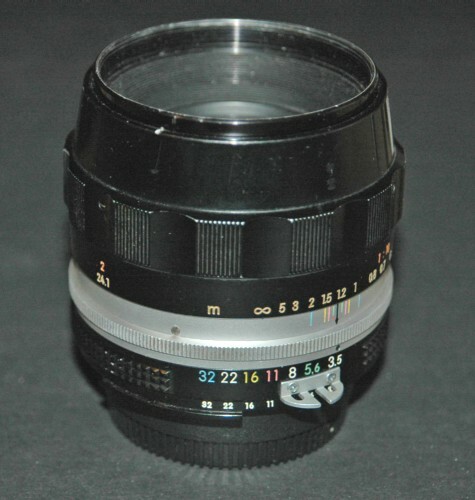 (2) Pre-Ai models of the 35/1.4 lenses stop down to 1:22, and have the largest aperture range of any Nikkor. After modification the lens only stops down to f16 like the Ai version, possibly because the range was too large for early Ai cameras. (3) The later gauss models of the 105mm 1:2.5 (black barrel) stop down to f32, while the Ai version only goes to 1:22. 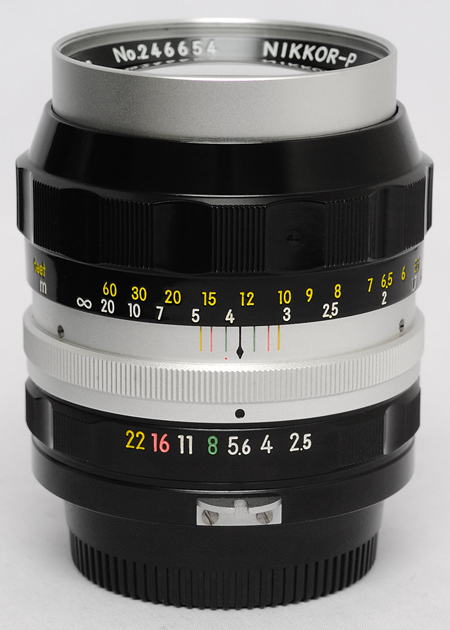 Ai conversion rings retain this extra stop, even though the converted K lens is otherwise identical to the Ai lens. 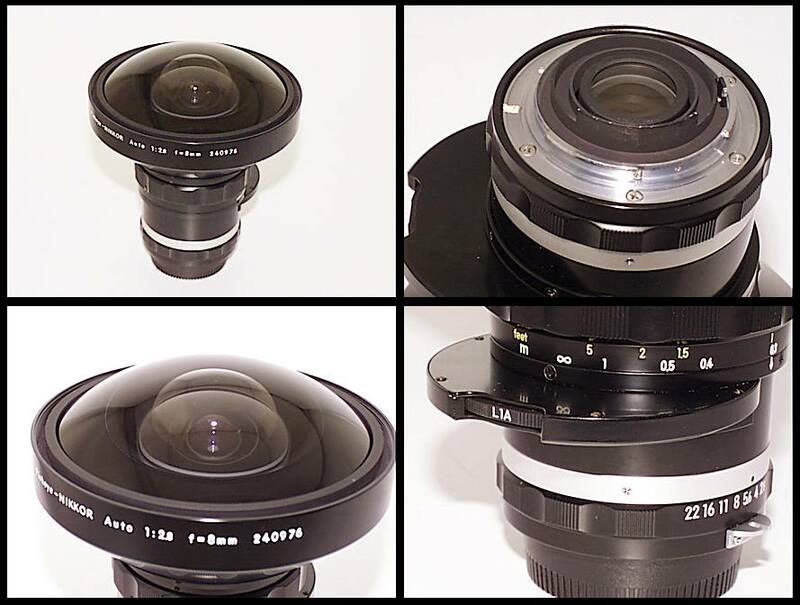 (4) After modification, new Ai extension rings (PK-13 for 55mm micro and PN-11 for 105mm micro) must be used for full aperture meter operation in 1:2 - 1:1 range. Original rings (PK-3 for 55 micro, PN-1 for 105mm micro) may be used with stop down metering. Modificiation of previous extension rings is not possible. 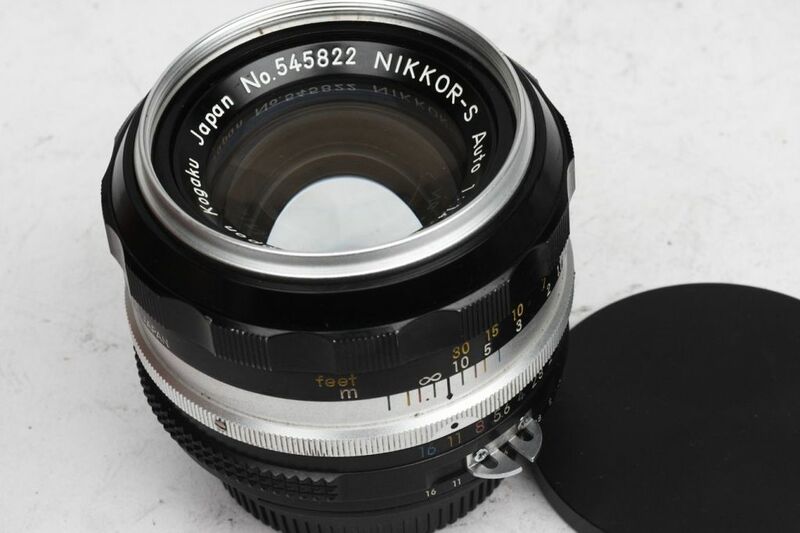 (5) The Nikkor*ED 400/3.5 IF and Nikkor*ED 600/5.6 IF were both introduced as pre-Ai lenses and produced in small numbers before being upgraded to Ai. 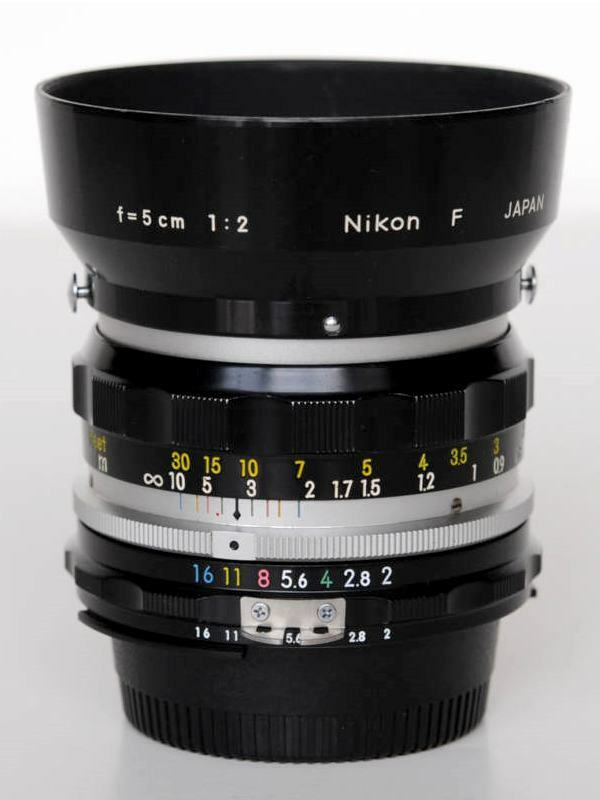 Nikon Ai conversion lists do not mention these lenses, it is likely they could be converted using spare parts from an Ai lens. 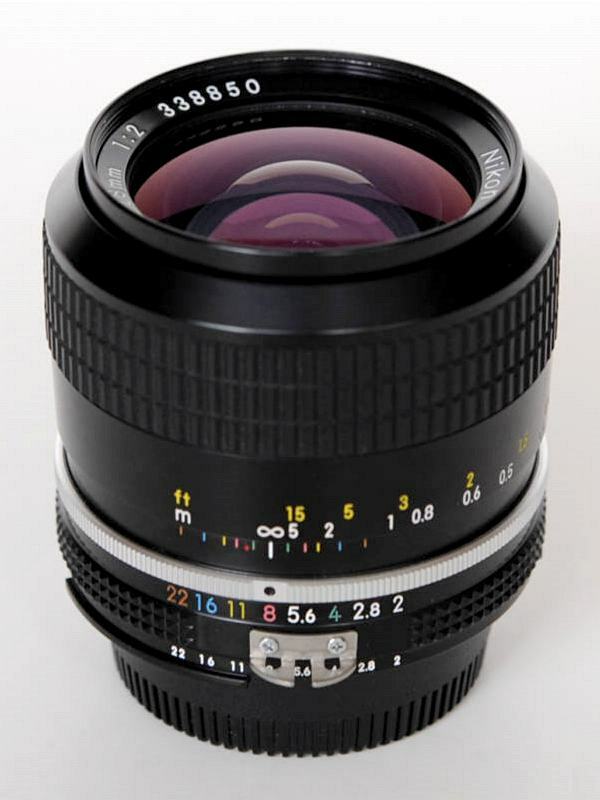 All of the zoom lenses, the GN and the fisheyes, plus the 15mm lenses have three kits listed (the 13mm has two). These lenses have individual inner dimension which is different in each lens. Therefore, selection of the suitable diaphragm ring from two or three provided is necessary. 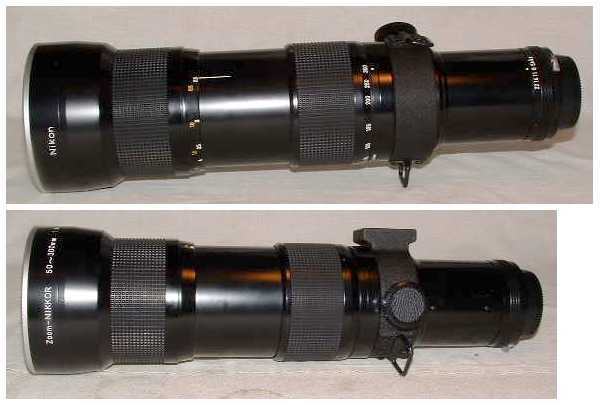 Some kits have longer or shorter rings (found with the zooms and the GN) and difference inside diameters on at least one of the fisheye lens kits. However, most lenses will accept any of the available parts. Mike from Pacific Rim Cameras writes: "Out of hundreds we have sold, only once was there a problem with the length and only once with the inside diameter." It is surprising there is so much variation on these special purpose lenses, and not with other models made in much higher numbers. Among the early Nikkors almost every model requires a different kit. 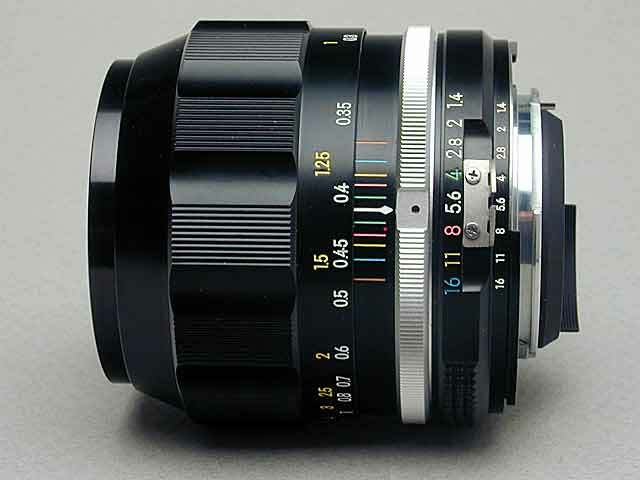 The aperture rings vary in design, style and aperture range, so there was little scope for standardisation of parts. In the late 1960s the construction of the aperture ring changed, so some models have two kits even though they appear the same externally. On early types the aperture ring was thinner and turned around an inner sleve. 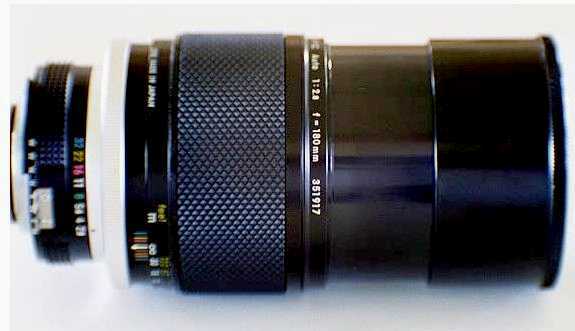 Later lenses don't have the inner ring and the aperture ring is thicker, thus requiring a different Ai conversion part. The New Nikkors (K type) have very uniform styling but every model still has a different part, even lenses with the same general form and aperture range such as the 300/4.5 and 300/4.5 ED, and the 24/2.8, 28/2.8 and 35/2.8. It might turn out that some of these can be interchanged with little or no modification. 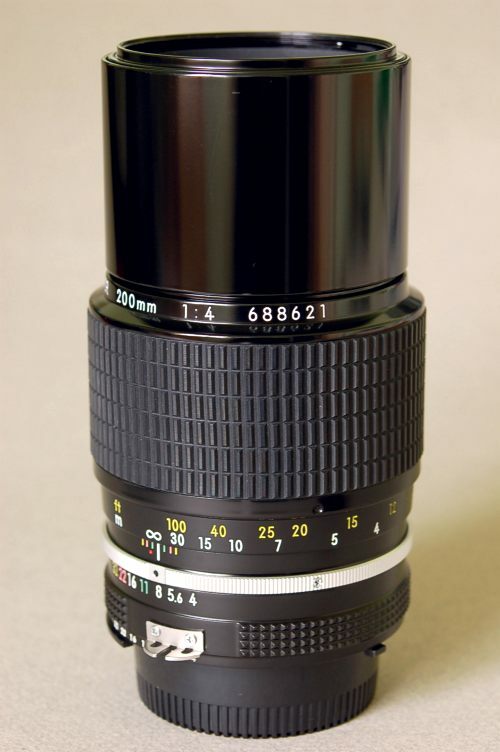 The 80-200/4.5 Auto (parts 74,75,76) and K model (parts 71,72,73) may differ only in the colors of the aperture numbers. The early version has a depth of field scale with non standard sequence of colors, while the later model follows the usual pattern. Since the colored aperture numbers correspond to the depth of field lines on the lens, Nikon had to make different conversion kits to match! Some models do share the same Ai kit. 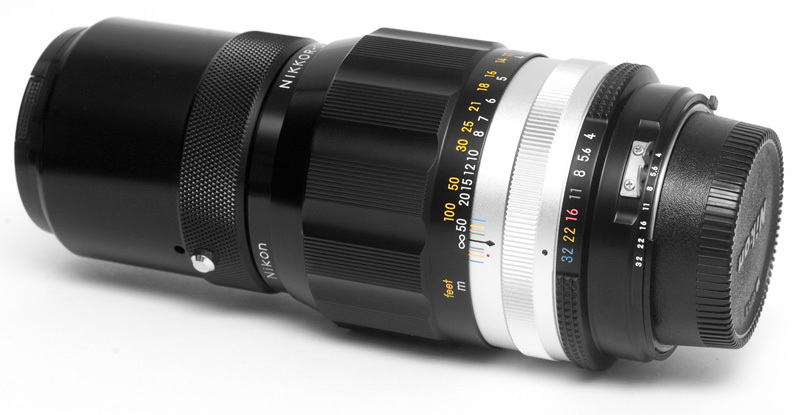 The Nikkor-P and Nikkor-H 300/4.5 both use kit 53 because two lenses are almost identical except for changes to the front elements. The Nikkor-P.C and K 400/5.6 share kit 55, which is not surprising since they have similar optical and mechanical designs. Lastly, the Nikkor-P.C and K 105/2.5 share kit 39, which hints at similar mechanical designs in spite of the different styling - I have even seen an Ai 105/2.5 repaired with the aperture ring from the P.C version! 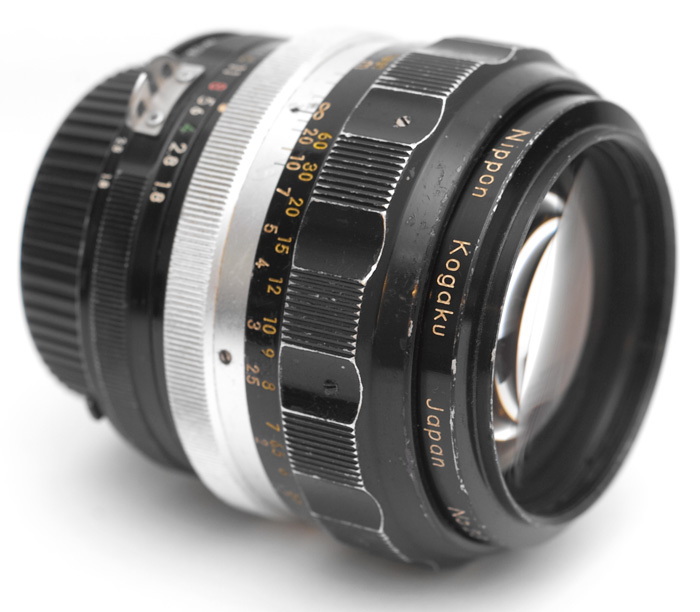 Many late pre-Ai K-type lenses are basically identical to the following Ai versions. 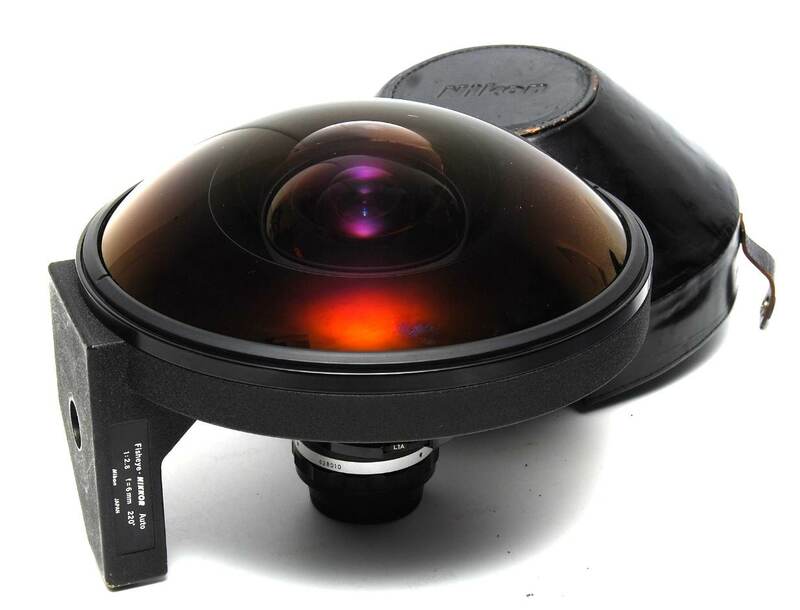 Where Ai conversion kits are no longer available, such lenses can probably be converted by using parts from an Ai lens. In that case, it may be easier to get the Ai version instead. New Ai conversion kits are long out of production and many are out of stock. Some Ai conversion kits may still be found at the suppliers listed below. Nikon service centers or long established camera repairers may also have old stock. 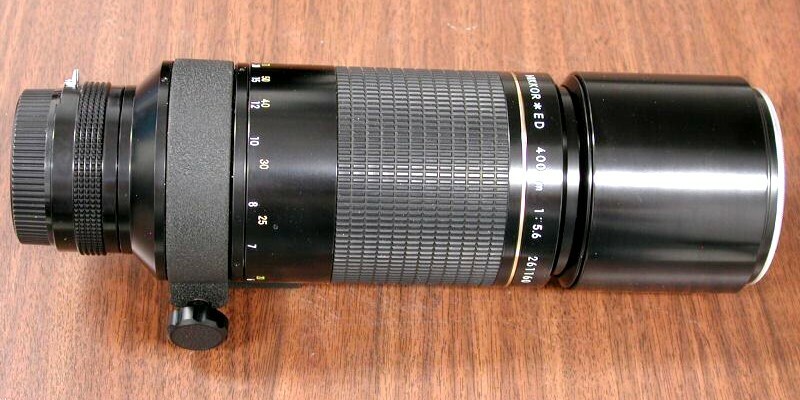 > Nikon AI Conversions 45.00 plus 8.00 USD shipping with or without installation. No email or website 40.00 USD per kit, with or without installation. If you know any other suppliers of Ai kits let me know. John White - Appears to cut into the foot of the aperture prong with ADR scale draped over the foot. Not an elegant solution, but has a good reputation. 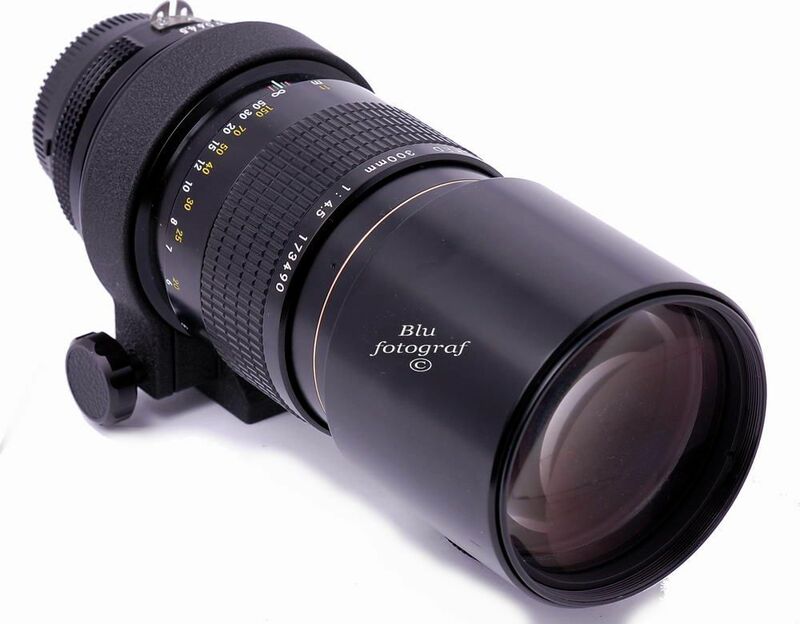 Site has good lens/camera compatability charts. 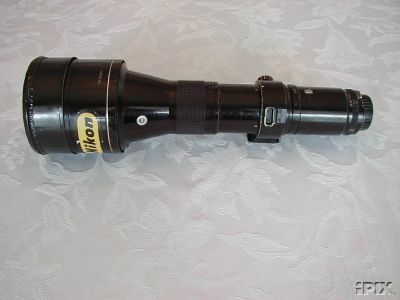 Nikon Ai Conversion by Christoph Breitkopf. Denis ( å®¹æ¬² ) - Provides Ai modification service in Shanghai China. Look for details on TaoBao.com by member "q-store", email lensstore at gmail.com.